Hwy 101 mile marker 140. This street leads directly to Davis Park. 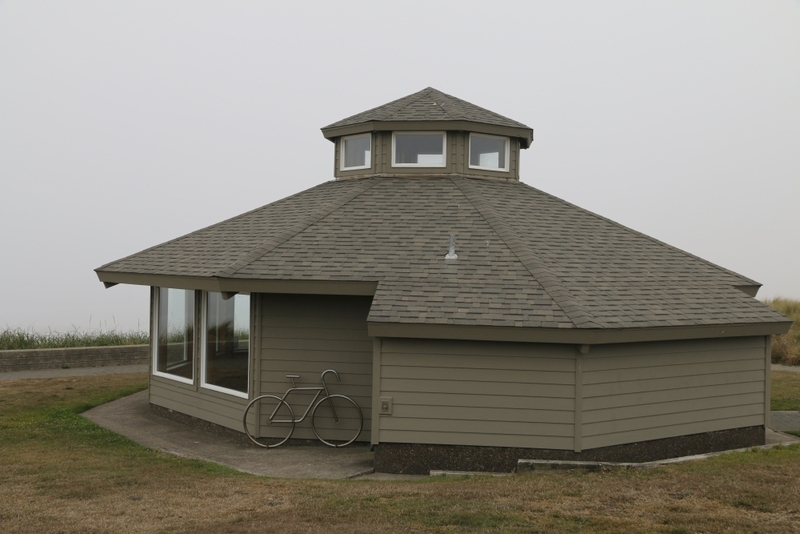 One of the Nye Beach entrances. 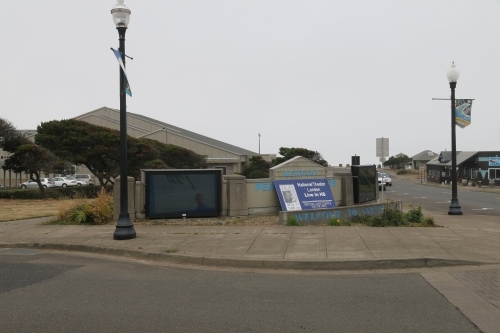 Notice that Nye Beach has a large performing arts center. 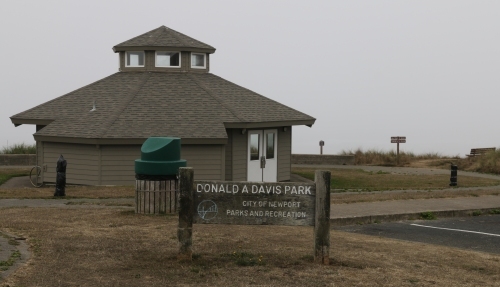 The small park does have a covered pavilion. Note the "parked bicycle" sculpture by its side. The beach entrance is on the other side. 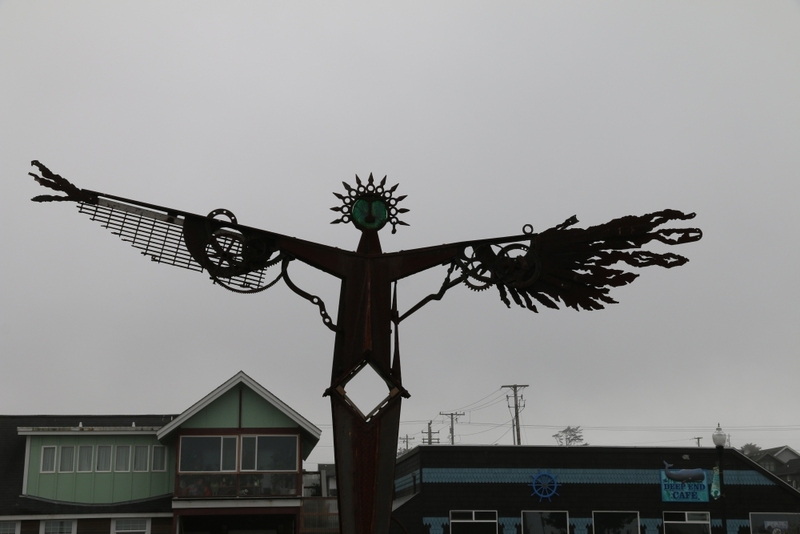 A sculpture adorns the edge of the parking lot.